Yellow cards : Rooney 76, Evans 81, Valencia 87 - Ivanovic 57, Drogba 74, Carvalho 81. 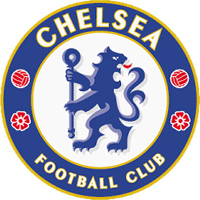 Chelsea (4-diamond-2): Cech; Ivanovic, Carvalho, Terry (c), A Cole; Essien; Ballack, Lampard; Deco (J Cole 63); Anelka (Alex 90+3), Drogba (Kalou 82). Man United (4-3-3): Van der Sar; O'Shea, Brown, Evans, Evra; Fletcher, Carrick, Anderson (Owen 84); Valencia, Rooney, Giggs (c) (Obertan 84).